Klean Air is family-owned and operated right here in Sidney, Ohio. Since our company opened its doors in 2010, we’ve treated every customer like they were a part of our family. Other companies may offer similar services, but our services are the best, and come with a personal touch. The Rotobrush aiR+ is designed to give you the cleanest air ducts possible. It works by inserting the brush, which rotates at 450 rpm, inside the air duct. While the brush spins, it is loosening any debris stuck inside. As the brush is scrubbing the inside walls, the vacuum is sucking up the loosened debris, leaving you with clean air ducts. The rotating cable is not exposed, making it safe for all types of duct applications, including flex. 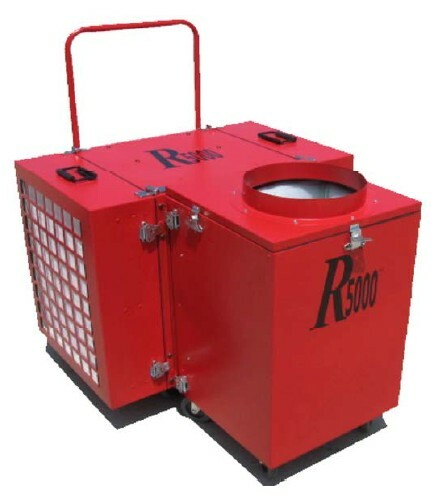 The R5000 is much more than an air duct cleaner. The R5000 has the power of an air scrubber for remediation work. Fire, water, mold—no problem, the R5000 was built to take care of it all. This unit is designed to handle all of your commercial needs.